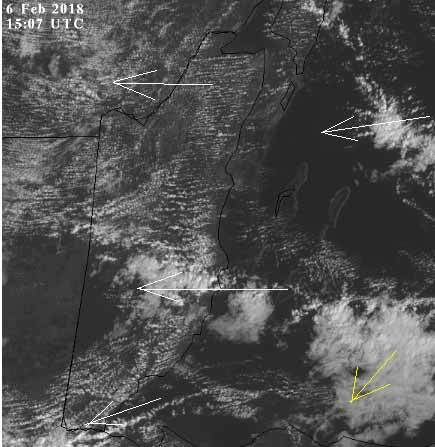 Belize NMS: Generally fair and mostly dry conditions to continue to dominate our weather today. General Outlook: For Wednesday and Wednesday night is for some cloudy spells with a few showers over most areas. Today E-NE 5-15 kts Choppy-Moderate 3-5 ft ISOLATED SHOWERS. Tonight E 10-20 kts Moderate 4-6 ft ISOLATED SHOWERS, WITH A FEW MORE OVER THE SOUTH. Outlook E 10-20 kts Moderate-Rough 4-7 ft WEDNESDAY NIGHT:- A FEW SHOWERS. 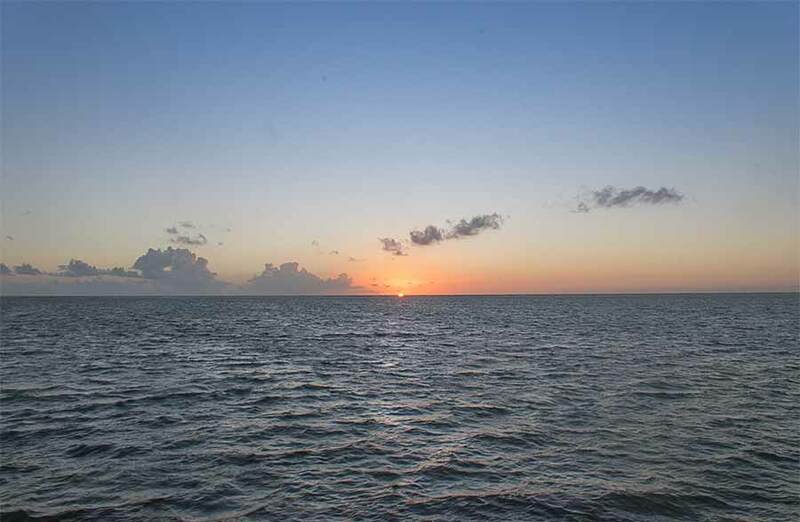 On Ambergris Caye this morning we have a wind from the East at 10 mph. The sky is clear and its a sunny day with an expected high of 82f. 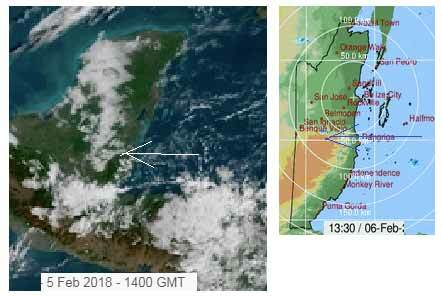 There are still a few patches of low cloud or fog around, the easterly Caribbean winds now have some large chunks of heavy cloud again, causing some rain in a few places. Looks like today will be mainly sunny, white clouds building later, a higher chance of the odd rain shower today. 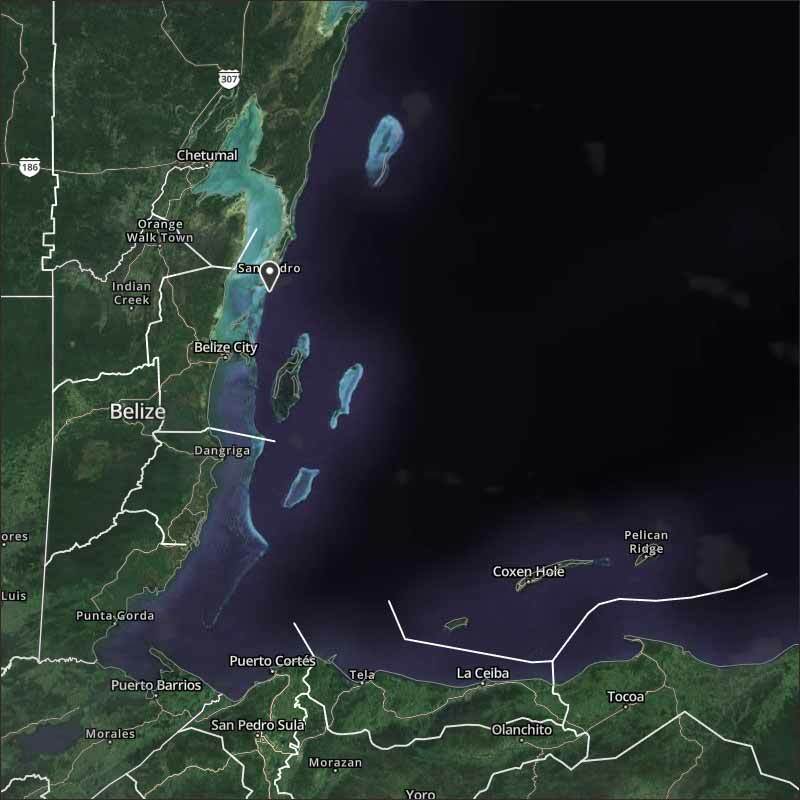 The Cloud picture: There are two areas of very significant cloud out in the Caribbean, which could bring some rain to some parts of Belize later, there is a little bit of rain in parts of Stann Creak district at present.